Hydraulic cylinders are a vital part of your hydraulic system, because they harness the mechanical power built up in the pressurized hydraulic fluids and use it to complete whatever action your equipment is designed to do, like lifting a heavy load for example. Obviously when a cylinder fails your ability to perform tasks will suffer. Cylinders often fail because their seals leak and pressurized fluid escapes. Sometimes this happens due to normal wear and tear and sometimes due to overwork on the cylinder or design flaws. If you purchase Parker hydraulic cylinders Long Beach CA for your industrial or mobile application, you can enjoy superior seal technology and better cylinder performance. Parker’s piston rod cylinders offer Zero Leak sealing technology to improve the performance of the cylinder and reduce the risk of seal failure. Zero Leak cylinders feature superior BTU rod seals and bronze-filled Teflon seals for extrusion-free, leak proof service. Other Parker hydraulic cylinders Long Beach CA also offer improved leak resistance. For example, the single-acting telescopic cylinders feature wave springs and chevron packing to create self-compensating seals. If you can’t find the cylinders you’re looking for in our ParkerStores, you can always ask us to place a special order. 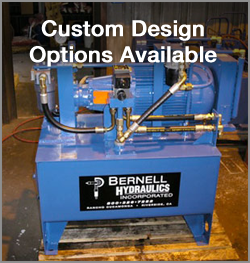 If you can’t find what you need in the product catalog either, we can create a custom cylinder designed and built to your exact specifications.